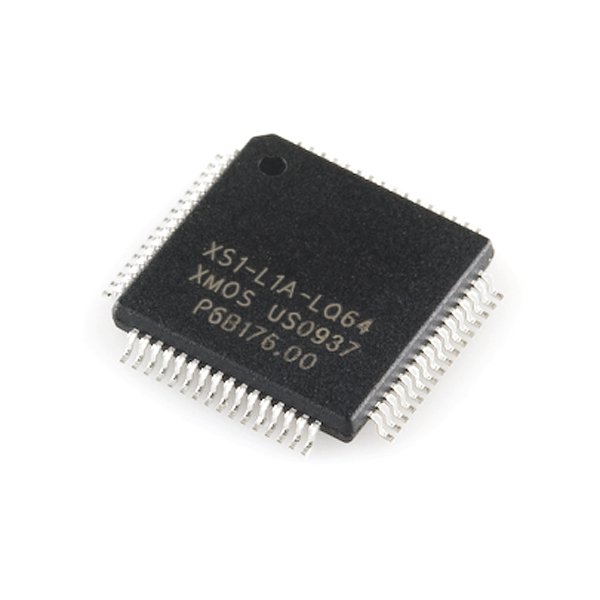 The XS1 family of devices features a multi-threaded processor architecture constructed from XCore processors connected by communication links. The architecture is scalable and any number of XCore processors can be connected together. Applications are developed using a combination of XC, C, and C++. XC provides extensions to C that simplify the control over concurrency, I/O and time. These extensions map directly to XS1 device resources making it easy to write embedded applications that require a blend of control code, DSP, and interfacing. Any idea if you guys will carry the USB line? I'm most interested in the XS1-U16A-128 for a Linux car audio amplifier thing I am building. I bought the eval kit from Digi-Key, but I want to release the board design and software here open source so anyone can build it. 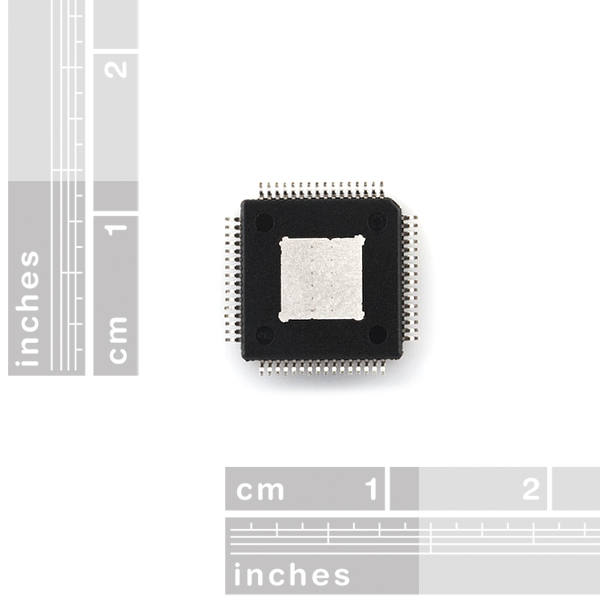 Can somebody please please please, explain how to get started with this chip. like what do I need to program it, what software do I use to program it, and maybe a link to a tutorial on how to write code for it. I would appreciate this very much and i'm sure a few others would as well because these unanswered questions are the only reason why I haven't bought any of these. 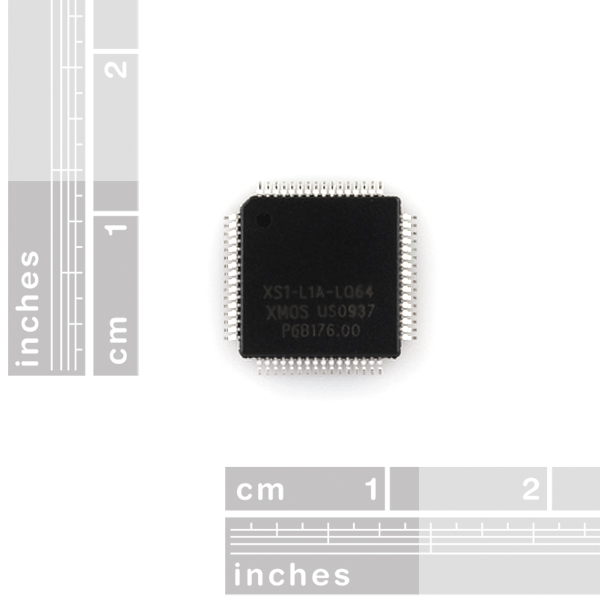 Can anyone tell me what else I would require to be able to program and upload code to this chip? I have only really ever worked with PICs and Iâm guessing my PICKit 3 will be no use hear. I am using Windows XP. So can someone suggest a programmer or whatever I will need to get started? I notice someone talking about XTAG2 that is discontinued hear with no replacement for whatever reason. Can sparkfun please make it more clear what I need to by along with this chip to get going? What clock speed? And, would you people carry external RAM for this? Just to confirm, is the OTP memory on this chip blank or does it come with the SPI bootloader? Also, how come the XTAG2 adapter price wasn't reduced? Txs. First I would like to thanks sparkfun team for their excellent work. I love the way that you made available the schematics and the products that you have are awesome! I am putting my comment here because recently I was developing a PCB with the XS1-L1-64 and after I received the boards I notice that the ground pad of the XS1 doesn't have the correct dimensions :(! So what happen was that I had a couple of vias next to that ground pad because I was trusting the XS1 sparkfun eagle package! The actual ground pad is bigger than the one that was on the design, and now I can't solder the chip otherwise I will short circuit some I/Os with the ground! My suggestion to you guys is to correct this package with the correct dimensions so in the future people don't make wrong assumptions! Besides that so far everything is perfect! Continue the excellent work! 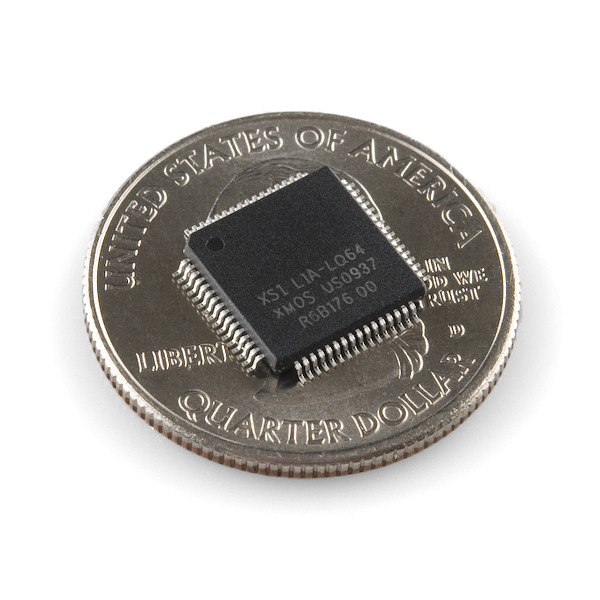 Are you using the SQFP-S-10X10-64-XS1 in the SparkFun library? Nice work, smart pricing. I would get in more too. Will you be distributing these via your global distribution network in other countries? If the distributors buy them. We have no control over what they do or don't carry.